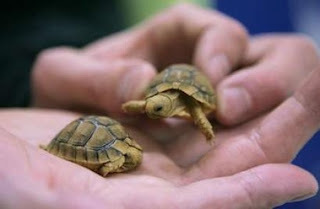 Animal Wildlife | Egyptian Tortoise | The Egyptian Tortoise is the smallest land turtle in the Northern Hemisphere. 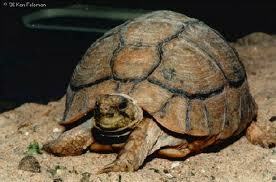 The Egyptian Tortoise is a critically endangered neck-hiding tortoise. Once more widespread, its numbers are now dwindling. The species is extinct in Egypt, and global extinction is a looming threat unless more actions are taken to protect this species. They are on the brink of extinction due of habitat loss and because people capture them to make pets. The Egyptian tortoises are herbivores, feeding on rough grasses, desert plants and fruit. They are most active during the warm periods of the year and least active during the months when it is very cold or very hot. 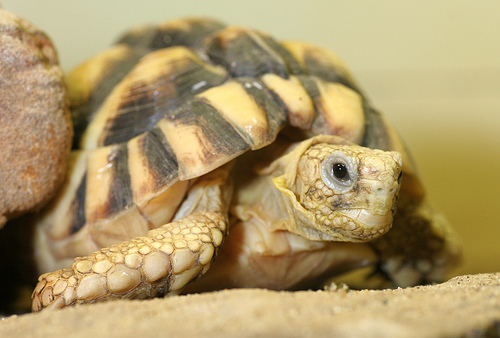 During the cooler months, the tortoise is most active at midday. In the hot months, it is only active during the early morning or late afternoon and spends the rest of the day hiding in the cover of bushes or in rodent burrows. 0 Response to "Egyptian Tortoise"